Autosport Labs FreedomPop’s $ZERO/mo SIM card works with RaceCapture Telemetry! Breaking news: We just tested the FreedomPop SIM, and it works perfectly with RaceCapture’s built-in 3.5G cellular! $ZERO / month plan: The $0/month SIM plan includes 200MB of data – more than enough for a 24H endurance race with a heavy load of sensor channels. Your data transmits for free to Podium! Based on the AT&T network: FreedomPop is an MVNO based on the AT&T network, and AT&T offers the best GSM coverage nation-wide, especially in rural areas. FreedomPop is now our recommended cellular carrier for RaceCapture telemetry – they even offer global discounted plans as well. 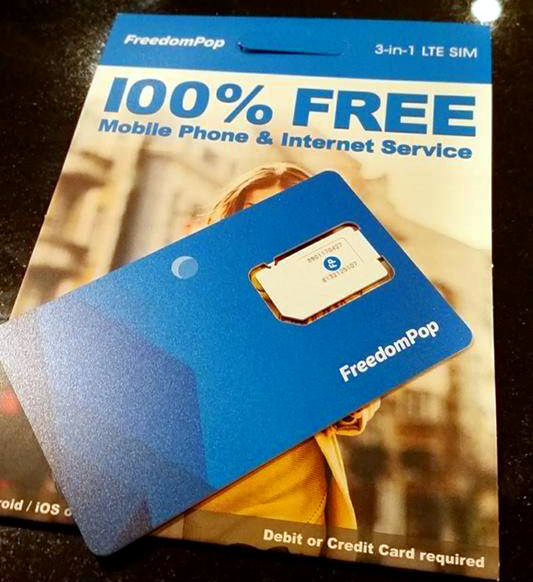 First, Sign up for a FreedomPop plan. Write your settings back to RaceCapture and your telemetry will start broadcasting to Podium once RaceCapture registers on the network! Want real-time telemetry for your race car? Learn more about the family of RaceCapture real-time telemetry systems! It’s an exciting development; let us know how it works for you in the comments below.